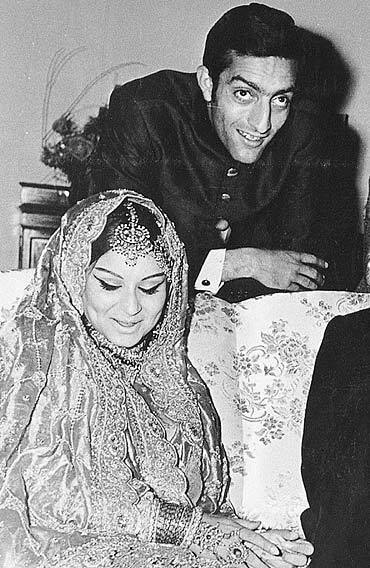 Bollywood belles and sportsmen have been a great combination since the days of Tiger Pataudi and Sharmila Tagore. Cricketers dating Bollywood actresses has always been the talk of the town. Let’s take a look at some of those couples. Yuvraj Singh was bowled over by Hazel Keech at a friend’s party, where they met for the first time. Since then the star cricketer and the actress were spotted together at public places. They were also reportedly holidaying together in London. After a lot of speculation, the duo finally decided to spill the beans on a social networking site and confirmed their engagement which was a private ceremony in Bali. The cricketer proposed to Keech in a romantic dinner setting in Bali right after Diwali in 2015. He has been a megahit in his professional life and the same could be said about his love life too. Virat and Anushka met each other in 2013, to work together for a TV commercial. After this, the two were spotted together at various places and in no time the gossip mills were churning out stories of these two dating each other . Their affair became public when Anushka came out to support Virat in one of the matches and he blew her a kiss. 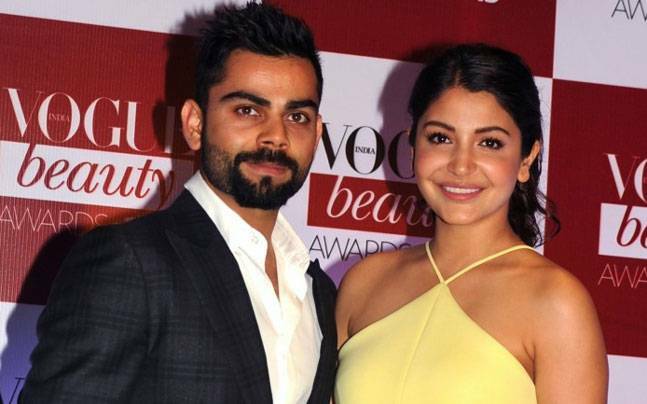 But soon the relationship came to an end as according to the rumours Virat wanted to marry her whereas Anushka wanted to concentrate on her career in the film industry. But recently, the two were spotted together coming out of a restaurant after a dinner and rumours of their ‘patch up’ were rife. We will be really happy to see them together again. They look picture perfect. This is one of the successful relationships between a cricketer and a bollywood Hottie. Bhajji in an interview to TOI revealed it was love at first sight and said ”I saw her in a song – Woh Ajnabee – and told my friend, I want to meet this girl”. According to Geeta, Bhajji pursued her for 10 months, until she said yes. They had their ups and downs when Harbhajan wanted a marriage but she was concentrating on her career. Both handled it with maturity. 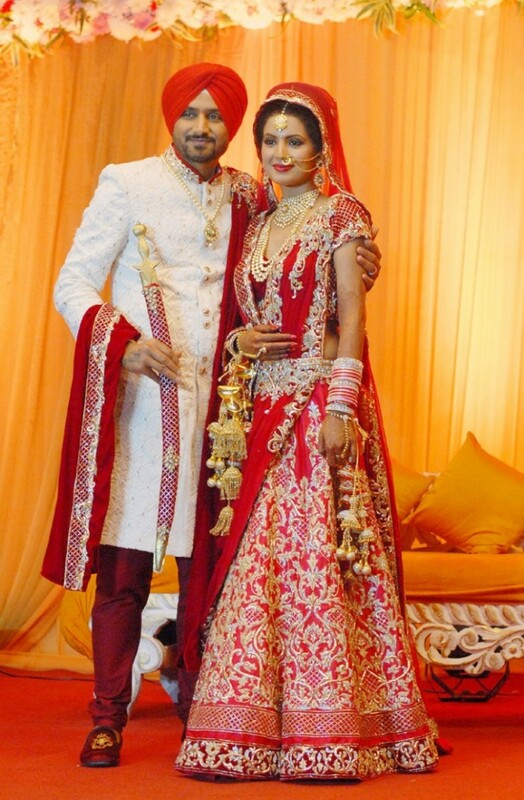 After an eight-year courtship, the couple tied the knot at Phagwara, near Bhajji’s hometown Jalandhar in Punjab. Though the batsman is engaged now, he had his own set of controversial affairs with the b’town beauties and his one such affair was with Deepika, though they never admitted to the same. But after the actress arranged a birthday bash for the cricket legend at her residence, rumours about their relationship were the talk of the town. However, reports suggest that it was Deepika who ended the relationship with Yuvi due to his possessive nature. Though both are happily married now, the grapevine was once abuzz of them dating each other. The two met and bonded as brand ambassadors of Big Bazaar. Sources reveal that they enjoyed each other’s company and used to hang out together! Asin was also spotted at one of Dhoni’s birthday celebrations. On April 26, 2010, Mumbai Mirror carried a story that Dhoni visited Asin’s house at Lokhandwala to watch an IPL semi-final match, which raised many eyebrows. A source revealed “Just before he left for the Asia Cup series in Sri Lanka (which began on June 15, 2010), he visited Asin’s house in Lokhandwala. This time, the two of them were not watching a match but just chilling out.” Looked like both were happy with each other but the reason of their break up never got clear. Their romance and marriage was the stuff that fairytales are made of and created a partnership which saw a grand four-decade-long innings.They lasted a lifetime, until the suave cricketer passed away in 2011. The two had apparently met in 1964 through common friends, when Sharmila was in Delhi for a shoot, and he gave Sharmila his number. It was his great innings of 203 not out versus England, at Kotla, in February 1964 which made her call Tiger to congratulate him. It all started then. According to rumours Tiger gifted Sharmila a refrigerator to win her heart, but the trick did not work. After four years of sending roses and proposing, she agreed. Both the families opposed the marriage but as they say ‘Jab miya biwi razi to kya karega qazi’. The supermodel turned actress fell in love with the accomplished cricketer. They met in the early 1990’s at a commercial shoot and in 1994, he was rumored to be having an extramarital affair with Sangeeta Bijlani. It raised many eyebrows as he had already been married for 8 yrs and had two kids. His divorce costed him his two bungalows in Hyderabad’s Banjara Hills, two BMW cars and lakhs of rupees and he finally married Bijlani in 1996. But the duo separated in 2010 because of Azhar’s alleged link up with Jwala Gutta, a badminton player. Mahendra Singh Dhoni in 2007 spilled the beans by expressing his admiration for actress Deepika Padukone and commented that he had a crush on her. To this Deepika replied that the comment had flattered her. The game began here. Dhoni then invited Deepika to the T20 cricket match against Australia and the actress was seen cheering the team to victory. Dhoni was completely bowled over by her. Though he is a great player, but looks like Deepika had great innings. 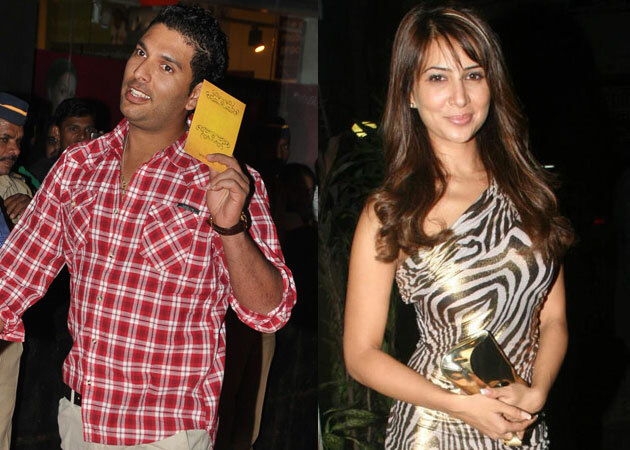 Yuvraj’s earliest crush was Bollywood actress Kim Sharma with whom he went steady for almost four years. The couple parted in 2007 as Yuvraj’s mother did not seem to approve his relationship with Kim. But if other rumours are to be believed, it was Kim’s “obsessive and abusive” behaviour that led to the breakup. Yuvraj seemed to long for his ex-love again. He apparently extended an invitation to Kim to visit him during his IPL tour in South Africa to which Kim also agreed . However, they were not able to get back together for long and parted their ways again. Isha Sharvani and Zaheer Khan shared 8 years long on and off romance and then parted their ways focusing on their professional work solely. Both are on friendly terms now and never played a blame game on each other. 15 Exciting Theme Based Restaurants In Kolkata!